By now, many B2B companies are already planning for 2019. and part of that planning will involve establishing revenue growth goals for the coming year. Growing revenues has never been easy, but producing consistent revenue growth has become more challenging because of fundamental changes in the B2B competitive environment. Today’s business buyers have more choices, more bargaining power, and higher expectations than ever. And the growing use of “as-a-service” and other subscription-like business models has elevated the importance of long-term customer relationships, while also making them more fragile. Therefore, there’s a growing need to provide outstanding experiences at every touchpoint across the entire customer lifecycle. To address these challenges, a growing number of companies are retooling their leadership structure and adopting new approaches for managing revenue-generating activities. Some B2B companies – particularly technology companies – have created a new C-level position that is usually called the chief revenue officer (CRO). The specific duties of the chief revenue officer and the scope of his or her authority vary across companies, but the CRO is usually tasked with managing the company’s revenue-related business functions, including marketing, sales/business development, direct outside sales, channel management, and customer success/customer service. A similar approach has been adopted by many B2C companies. Last year, for example, Coca-Cola made news when it chose not to replace its retiring chief marketing officer. Instead, the company created a chief growth officer (CGO) position to manage its marketing, customer, and commerce teams. Culture App, an employee engagement and analytics software firm, recently reported that 455 U.S. companies have chief growth officers, and that number may be higher now. These organizational moves have been driven by the recognition that the dynamics of revenue growth have changed in fundamental ways. For most B2B companies, the business case for implementing a chief revenue officer or chief growth officer role has become compelling for two reasons. To optimize revenue growth, business leaders must first identify how growth happens, or more accurately, where it originates. There are several distinct sources or wellsprings of growth. These “structural” sources of growth are not dependent on the way a company is organized or on the types of products or services it sells. Instead, they are based on the strategies and tactics a company can use to exploit each source. 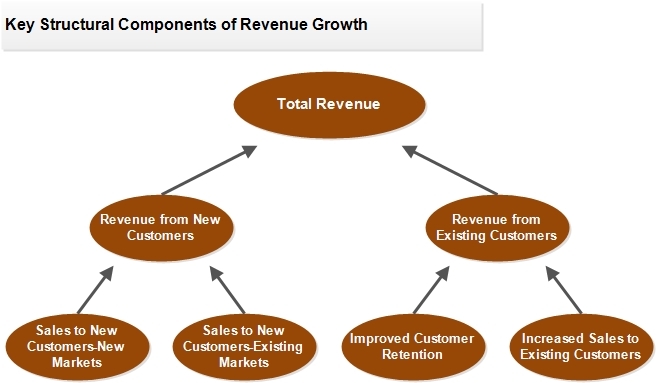 The following diagram shows the four most common structural sources of revenue growth. These sources are always present, and they exist independently of the market conditions facing a company. 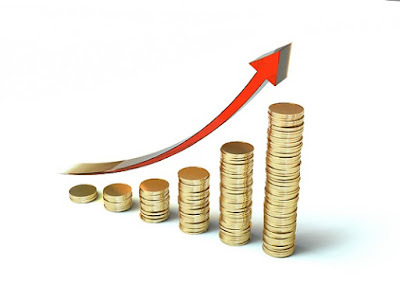 However, the volume of growth that any particular company can extract from each source is greatly influenced by the company’s market and competitive environment. As a practical matter, no single source is likely to produce enough growth to enable a company to reach its overall growth objective. Therefore, to maximize overall revenue growth, most companies will need to tap all four structural sources of growth. Successful revenue growth requires the active participation of multiple business functions, particularly given the need to leverage multiple sources of growth. The following table shows that three or four distinct business functions must be involved to maximize the potential of the four structural sources of growth. And this table is an oversimplification of reality for some companies. For example, companies that derive significant revenue from online sales and/or sales by channel partners would need to add e-commerce operations and/or channel management to the business functions shown in the table. 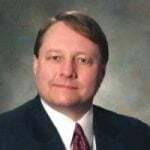 Successful revenue growth also requires the activities of these business functions to be tightly coordinated, which means that they must work collaboratively on an ongoing basis. In most B2B companies, the revenue generation process has traditionally involved a series of “hand-offs” from one business function to another. The metaphor often used is a relay race in which each member of the relay team runs for a specified distance and then passes the baton to the next runner. It’s now clear that the relay race approach is no longer an effective way to manage revenue-generating activities. To optimize revenue generation, customer-facing functions must act more like a basketball team than a 4 X 100 meter relay team. All team members are involved throughout the entire game, and their roles change based on the situation. These circumstances provide a powerful argument for creating a chief revenue officer or chief growth officer role to manage and coordinate all revenue-generating activities. Long ago, the architect Louis Sullivan argued that the shape of a building should be based on its intended use, that “form ever follows function.” The same principle applies to business organizations. Placing all revenue-generating activities under the leadership of a chief revenue officer or chief growth officer enables a company to make the “shape” of its organization reflect the realities of today’s revenue generation environment, and constitutes an important step toward optimizing revenue growth. Top image courtesy of ccpixs.com (Creative Commons License).